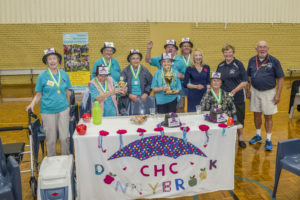 LiveLighter Aged Care Games - Seniors Recreation Council of WA Inc. 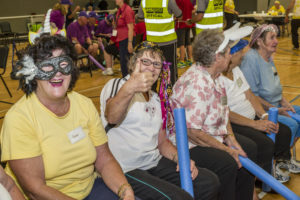 In 2003, Seniors Recreation Council of WA established Games for Seniors in Care as part of the Fremantle Masters Games and included the games seated hockey, seated pass ball, bean bag toss & skittles. With a perpetual trophy (Cup) and small replica plus Gold medals awarded to the winners and Silver and Bronze medals awarded to the runners up & third place all other participants receive a participation medal. 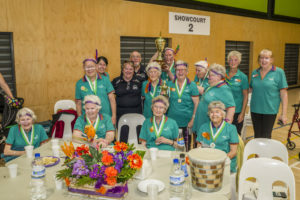 The City of Fremantle in 2007 offered a perpetual trophy for the Champion of Champions team, (the team that has the most points in a round of competition) this was presented for the first time at the Fremantle Masters Aged Care Games 2007 and has been presented each year since. The Champion of Champions winners are:- 2006/07 Barridale Lodge, 07/08 Jacaranda Lodge, 08/09 Jacaranda Lodge, 09/10 Vivianne Bulwinkel Lodge, 10/11 MYVISTA & 11/12 Ritcher Lodge. The Council has developed strong working alliances to present the games including Department of Sport and Recreation of WA, Healthway, Heart Foundation, Department of Local Government and Communities, Have a Go News, various Local Governments and numerous care agencies. This is an exciting program and it has been very well received by both clients living in care and the Care Agencies, these events have been conducted over the last ten years. Since the games commenced in 2003 SRC has hosted 40 competitions with a total of 9000 people attending the games to June 2012. Once again SRC and all participants in the games wish to express their appreciation to the sponsors of the LiveLighter Aged Care Games – Healthway, Department of Sport & Recreation & Department of Local Government and Communities, Have a Go News, Local Governments & support agencies.